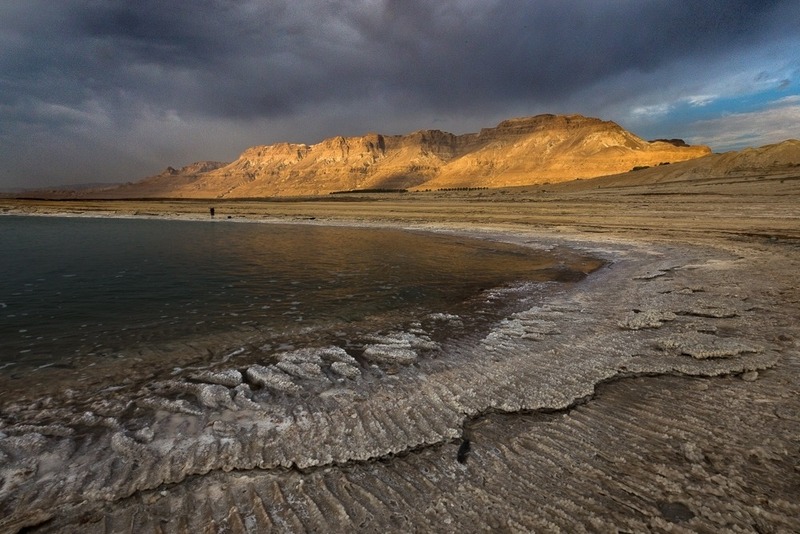 The initial exposure you choose while photographing in the field has a great impact on the final result of your photo. There are many different methods and ways to do so, and every photographer chooses his own based on his knowledge and experience. In this article I will explain how I expose my photos to get the best final results, based on my experience. Important note – the method I will explain about is relevant only if you process/edit your photos. 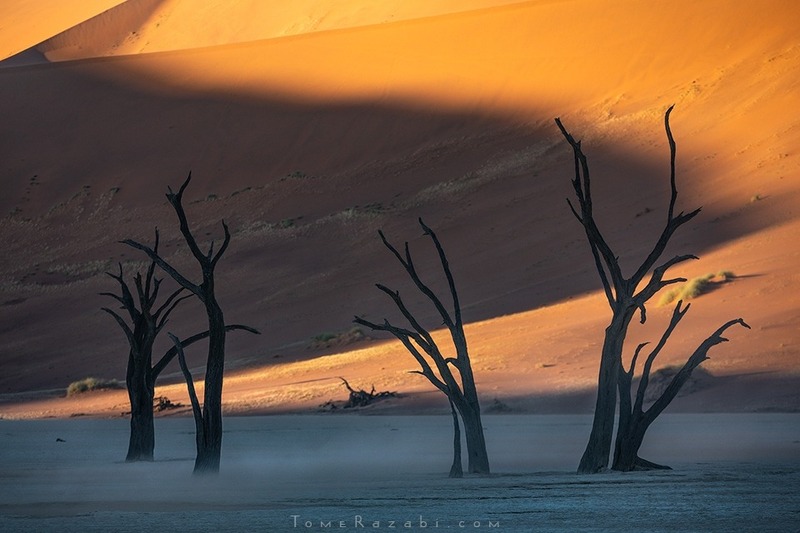 It is also highly recommended to shoot in raw format to maximize the results. before we dive in, lets talk about exposure in general. The first important thing to understand, is that a brighter photo – is a photo with more information. Each pixel in your sensor is exposed to a certain amount of light according to the exposure you did. That amount of light is then translated to digital information or value. A pixel that receives more light, has more information. 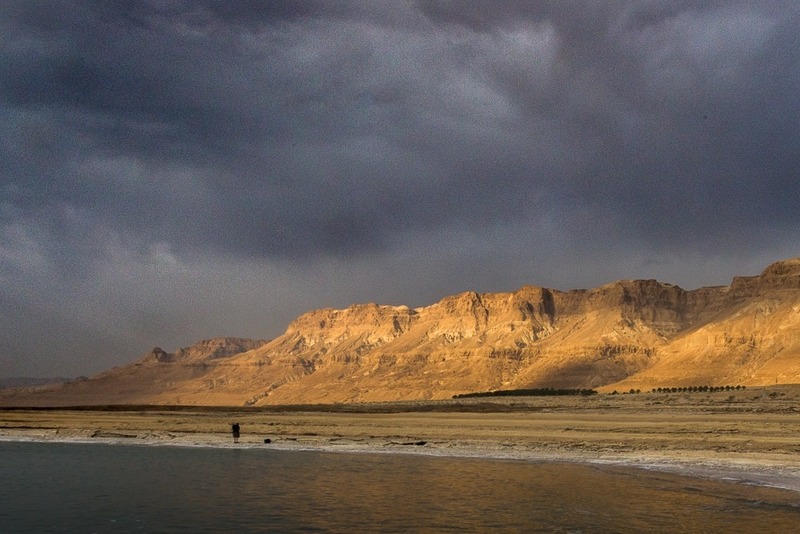 When I say more light, I mean “real” light – light that comes from using a wider aperture, or longer shutter speed. This is contrary to using higher ISO, that doesn’t really deliver more light, it just digitally enhances the light that came from the aperture and the shutter. So basically, more light means a photo with more information – the more the better, as long as you don’t burn any part of the photo! burnt areas or pixels have no information. After understanding that, it means we now want to expose our images while photographing as bright as possible, without burning. This method is usually called ETTR – Exposed To The Right. Because when you expose this way, you usually rely on the histogram and push it to the right border (Will be explained later). – The first reason is to have the least dark parts in your image that you might need or want to brighten up later in editing. When we brighten a photo or parts of it, we actually ask the editing software to digitally extract more information than there really is. It is quite similar to using higher ISO, and that causes more noise to appear. If brightening during editing is done gently (also assuming the photo was initially shot in low ISO which makes it cleaner and better), then the result probably won’t be too bad and noisy. But the more you push the brightening, the more noise you’ll get. So if you photograph brighter in the field, you’ll need less brightening when processing the image and have a better outcome. If you need to brighten the photo in editing (even if you shot as bright as possible), then you will have a better result from a brighter photo because less brightening will be needed, and you also have more information in the photo. 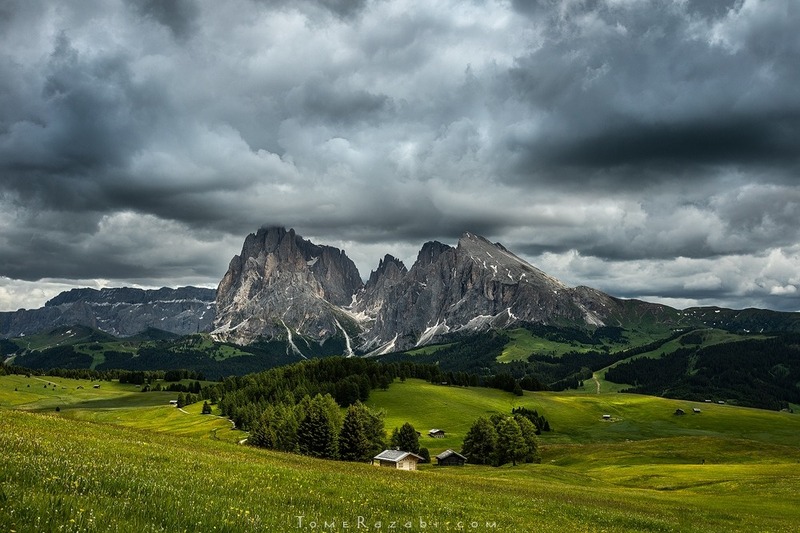 – The second reason is that darkening a photo in editing does not add noise! As long as you don’t have burnt areas in the photo, you can restore all the details and colors a very bright area isn’t showing, by darkening it, without adding any noise. – The third reason is that almost any change you do in editing means you digitally change or “push” the information in the photo. If you have a photo with the best amount of information, you will be able to “push” and edit the photo more aggressively and get better results. Concluding that – The brighter the photo (without burning), the better. We get the highest amount of information possible, the least dark areas possible, and we can always darken it without adding noise. This is true to all photography styles – whether you shoot landscapes, studio, wildlife, architecture, fashion, etc… but it doesn’t always fit every style. This method usually requires time to check you have the right exposure, time you don’t always have like when you photograph wildlife or action and require quick response. How to get the brightest exposure? 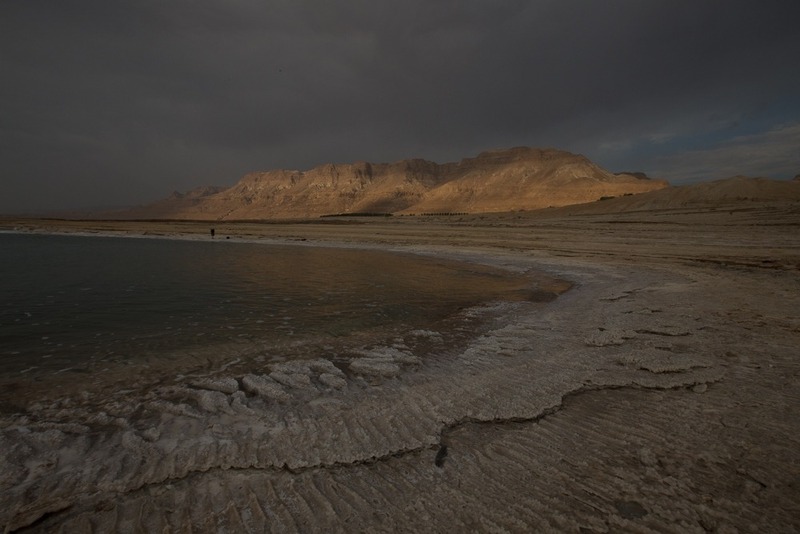 Most people rely on the light meter to determine the exposure of the photo. This might shock you, but the light meter doesn’t really give an accurate read about the light in your photo! What the light meter does is to show you a sort of an average of the light, depending on the metering mode you use (spot, matrix, average… etc) and that doesn’t really tell you if you have burnt areas, dark areas or any other information. This method is more basic and less complicated. In almost every camera today, you have the option to get a “warning” while reviewing a photo – the camera will display a blink where you have burnt areas. This way you can review a photo and correct it to add or reduce exposure until you shoot as bright as possible without blinking areas. The histogram represents the light distribution in the photo. It can teach us a lot about our photo and what we may need to improve in it. 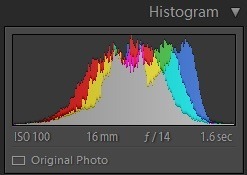 The left part of the histogram represents the dark parts (pixels) in a photo. The right part is bright parts. The center is medium brightness areas. The height represents the amount of pixels in each area. When the whole histogram is inside the graph there aren’t burnt parts (white with no details) or completely black parts (black with no details). The below histogram represents a photo which is mostly medium to bright, it has very little dark areas and not many bright areas. If the histogram has parts beyond the left border it means we have black parts in the photo (black with no details), and if the histogram has parts beyond the right border it means we have burnt parts in the photo (white with no details) – like the histogram below. 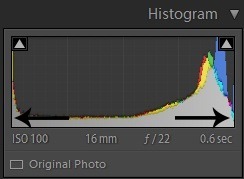 WHAT YOU WANT to see in the histogram of your photo is that the right edge of histogram is very close to the right border, but not touching it. That means the photo is exposed as bright as possible, without burnt parts. You can see the photo is very brightly exposed to a point we don’t see colors and details well. It also looks very dull in contrast because it was shot from a distance and the light was very soft during sunset. I intentionally exposed it very bright to avoid having dark areas, and to have as much information possible. This way I can darken it and use aggressive editing, and still get good results. I did several things when I edited this photo in lightroom to make it look good. First thing I did is to darken it. It brought back many colors and details that were too bright to see, and it added no noise (contrary to what would happen if it was dark and I had to brighten it up). I also added a lot of contrast. Besides the general contrast I added in the basic menu, I also added 2 more graduated filters on the whole photo with a total of +127 contrast. I added a lot of whites and blacks which also contributes for edge contrast (it mainly affects the bright and dark areas, contrary to the “contrast” bar which affects the mid tones). The photo you see below wasn’t shot as bright as possible. It actually came out pretty dark. 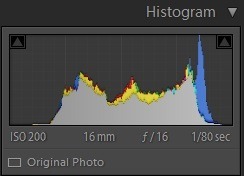 Look at the original file and the histogram. When I tried editing it, I had to brighten it and along with more things I wanted to add like contrast and clarity – it ended up with a lot of noise. Look at the outcome below along with a cropped view of the sky. I’ll be honest and tell it took me some time to use this method constantly and feel good with it. It is very hard to take a shot in the field and not to like the view of it on the camera screen. But after repeating it again and again I can confidently say it works every time and its worth it. I shot many photos using this method that otherwise would be impossible to edit with the best outcome. If you’re not sure about it, I recommend trying it a few times just for training and testing it. I’m quite sure you will witness yourself the great benefits. Follow more of my photos on my instagram or facebook page!